The Magnificent Ride examines the social and religious dimensions of the Hussite revolutionary movement in 15th-century Bohemia. 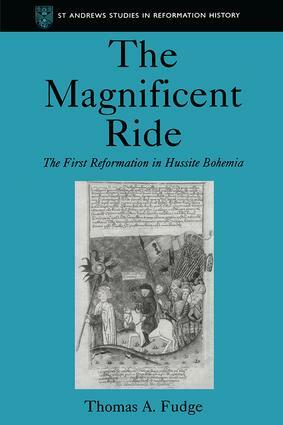 It argues that ’the magnificent ride’ was, in fact, the first reformation, and not merely a precursor to the reformations of the 16th century. The religious revival which had begun in Prague in the later middle ages reached its zenith in the period between Jan Hus and the Council of Basel. This book reconstructs the Hussite myth and shows how that myth evolved into the historical phenomenon of heresy. Acts of heretical practice in Bohemia, condemnation of Jan Hus, defiance of ecclesiastical authority and attempts by the official church to deal with the dissenters are fascinating chapters in the history of late medieval Europe. Contents: Bohemia on the eve of the Hussite movement; Anatomy of a revolutionary Reformation; St Jan Hus, the law of God and the forbidden chalice; Paint, poetry and pamphlets: the politics of Reformation; The ascent of dissent; Bibliography, Index.